Choosing the right course for you - whether it be your first foray into make-up education or a topping up of your skills - is worth taking the time to get right. At UMAexpo we have some of the top educators and colleges around pitching up to lend a hand - here's who you should look out for. Amanda Green, make-up artist and designer to some of the most famous faces in theatre, film and TV, has created specialist intensive professional make-up courses for serious learners of the real art of make-up. Whether you're interested in Fashion, Prosthetics, Film & TV or a mixture, the Academy has tutors and courses to suit you. 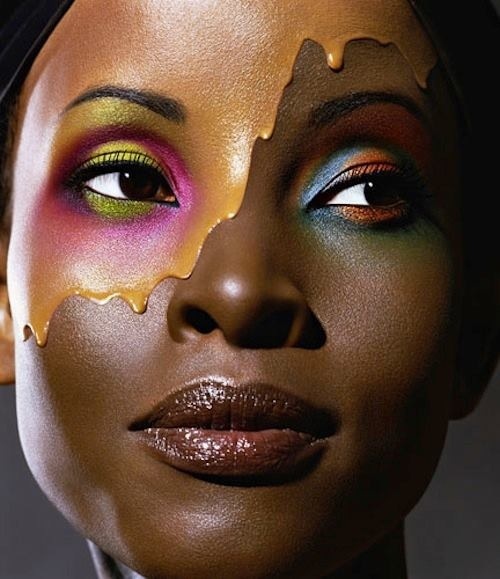 Offering a VTCT Level 3 Diploma in Make-Up Artistry or a VTCT Level 3 Certificate in Fashion and Photography Make-Up, Vita Skills specialise in innovative training courses with plenty of flexibility. Choose from a full-time class schedule or flexible part-time around your current job. Based in the thick of it at Pinewood Studios, CMS run targeted film masterclasses on the doorstep of some of the biggest films made in the UK. 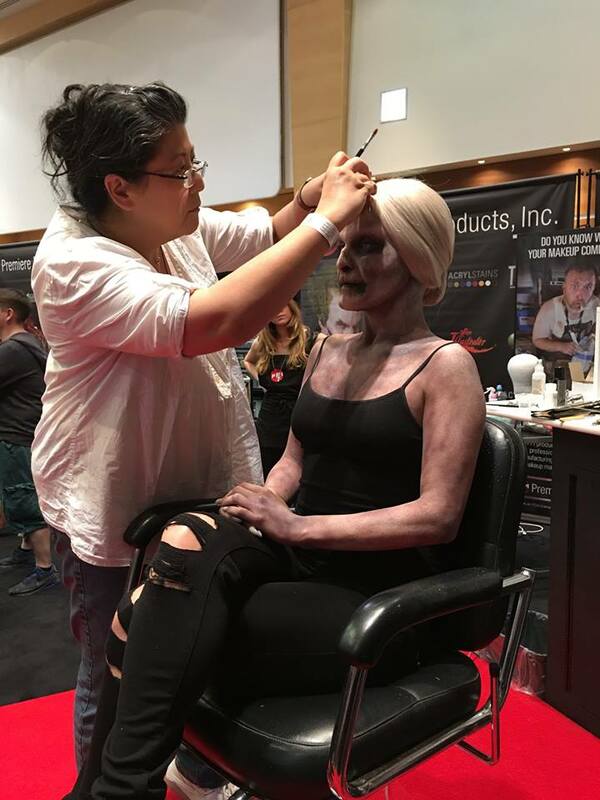 Learn from artists at the top of their game, passing along their lifelong skills and knowledge, in specific fields which include hair, make-up, costume, props, greens, stunts, art department and more. The British Association of Skin Camouflage are on hand to educate artists in the life-altering practice of skin camouflage. BASC is an independent association which aims to alleviate the psychological, physical and social effects that an altered image can have on someone’s life by the simple application of specialised skin camouflage products. Learn more about their wonderful work here. One of the most established schools, Brushstroke is based at Shepperton Studios and is celebrating 27 years of top quality training. Their aim has always been to work as closely with the industry leaders as possible, offering well-balanced and well-rounded courses which are regularly updated in line with industry requirements by professional input. The National Association of Screen Makeup Artists and Hairdressers should be a destination for you. Check in for the latest news and updates from the team, enquire about insurance or sign up for their masterclasses. As the UK's media and entertainment trade union, career development courses available through BECTU are provided at low cost. In most cases the courses on their bespoke list are open to members and non-members, with the programme reflecting the training needs identified by their membership. Offering everything from Asian Bridal Make-up Certificates to a Media Make-Up Artistry Advanced Technical Diploma, the tutors and courses at Leicester College have excellent variety and experience of producing talented graduates. As one of the top make-up educators in the north of England, Bolton University favours small teaching group on a compact, friendly campus. 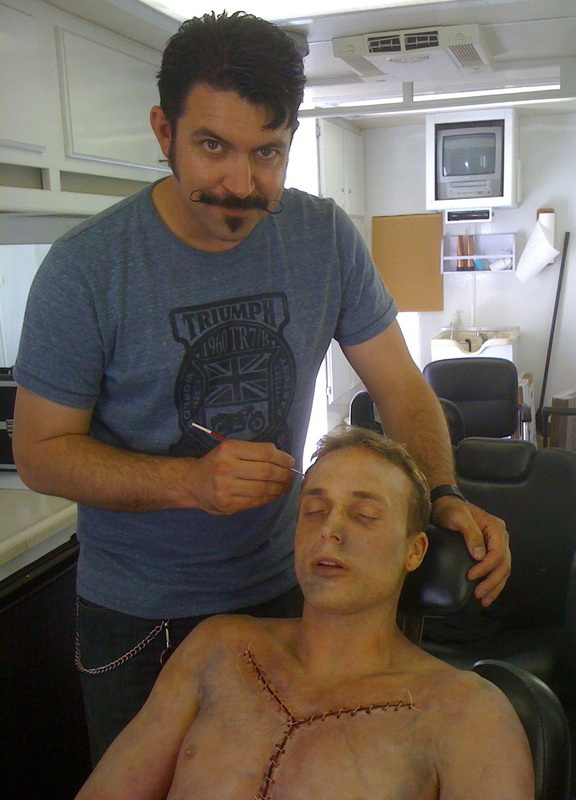 Their Special Effects for Film and Television course has a well-earned reputation as one of the top SFX courses. This entry was posted in UMAe News and tagged Training, Education, Learning, Beauty, TV, Film, Theatre, SFX on April 28, 2017 by Deborah Murtha. If you love all things hair then we are here to help. From expert wig masters to grooming products, our exhibitors have plenty of advice and tools to keep every strand in place. PAM is a must-visit for all artists, thanks to their wide variety of brands on offer in one place. From moustache wax to hairpins, wig blocks to toupee tape, they cater for every hair need with expert advice. A handy number to take note of. How many times have you been stuck with poor lighting and inadequate mirrors on set or location, making your job so much harder? Location Mirror supply lit mirrors throughout the UK, both for hire and to buy. With over 20 years of experience in providing for almost every element of a performance – from lighting and sound to make-up – the Back Stage Shop stocks time-tested favourites from some of the biggest brands going. From combs and brushes to hair colourants, you'll find it here. The hottest new professional retailer are making their show debut this year, stocking everything you might need for a full day on set. More than just a store, the Armoury aims to build a community to help empower artists with knowledge, support and creative inspiration with the help of their experienced artist staff. Beard oils, rollers, postiche tools - nothing is left out. The Wig Department's founder, Chrissie Sterritt, has been working in the industry for over 25 years and what she doesn't know about wigs isn't worth knowing. She's worked on some of the worlds most successful International productions, such as The Lion King, projects for Rankin and Damien Hirst, as well as enormous blockbuster films. Visit for expert advice and every wig product you might need. Knowledge of men's skin shouldn't be neglected. Mark Sproston, AKA The Shave Doctor, created his range of professional shaving products after four years of intensive research. His knowledge, area of expertise and credibility is now in demand from industry publications and he is a regular contributor to men’s magazine’s and national newspapers. The National Theatre in London is one of the UK's three most prominent, publicly-funded performing arts venues. 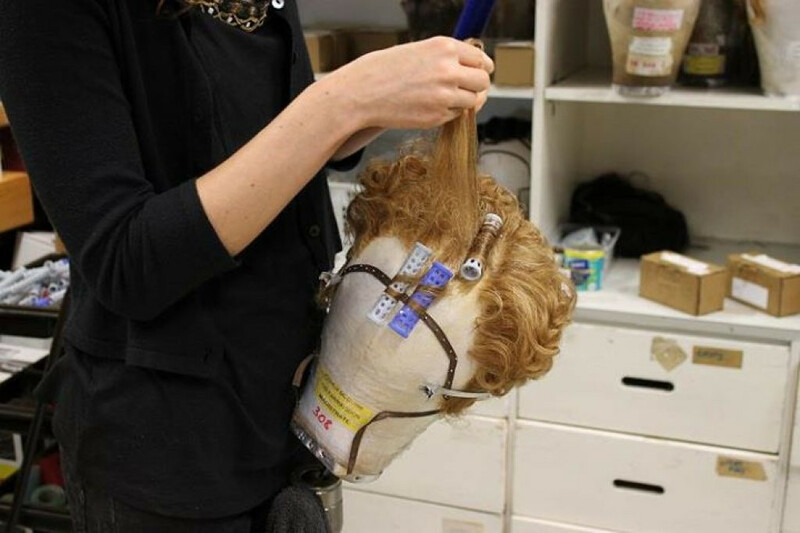 Their wig and hair work is the stuff of legends - stop by for advice and information from the talented team behind the NT, live streams and touring performances, as well as seeing the team creating intricate wigs first-hand. The Wigs and Makeup Studio is run by Corinne Young and Philip Carson-Sheard, both industry professionals working full-time in the business. They have a wealth of experience ranging from work at English National Opera, the Royal Shakespeare Company, Glyndebourne and West End productions, through to film and editorial make-up, and teaching wig making and wig dressing at various prominent colleges. This entry was posted in UMAe News and tagged Hair, Grooming, Shaving, Film, Theatre, wigs on April 27, 2017 by Deborah Murtha. Bridal, Fashion and Editorial artists step forward! With such diverse needs you'll need a wide range of products to choose from, and the UMAexpo aims to please. We've gathered together some of the top brands and highest quality products for you to choose from. Education maven Julia Townend knows what makes a great artist, having helped to write the course guidelines for numerous colleges. Julia continues to work as an in-demand freelancer across film, TV and editorial, while also producing her much-loved glitters and gold leaf which have earned places in her peers' kits. Shazia Khan's experience at the top of her game in the Asian Bridal sector led to repeated disappointments with false lashes - so, naturally, she went ahead and made her own. Her high quality synthetic fibre lashes are often mistaken for real mink, such is their softness. Cruelty-free, double-stacked and re-useable, these are lashes with a difference. If your constant niggle with brands is a disappointing lack of pigmentation then be sure to visit Ash Cosmetics. Their premium quality pigmented cosmetics are packaged in customisable palettes, letting you put together your a refillable configuration of your favourites; mix and match to cut down on the amount of products you need to stash in your daily kit. These luxury strip lashes were in development for over two years, with the team determined to painstakingly create the best lash styles for all eye shapes. Hand-tied with a flexible band to ease application, you can choose from silk and 3D Mink options which can be reused for up to 25 times - and with great offers available it's a great time to stock up. The home of high definition airbrush beauty, there's a reason why so many artists keep flocking back to Airbase's machines and cosmetics. 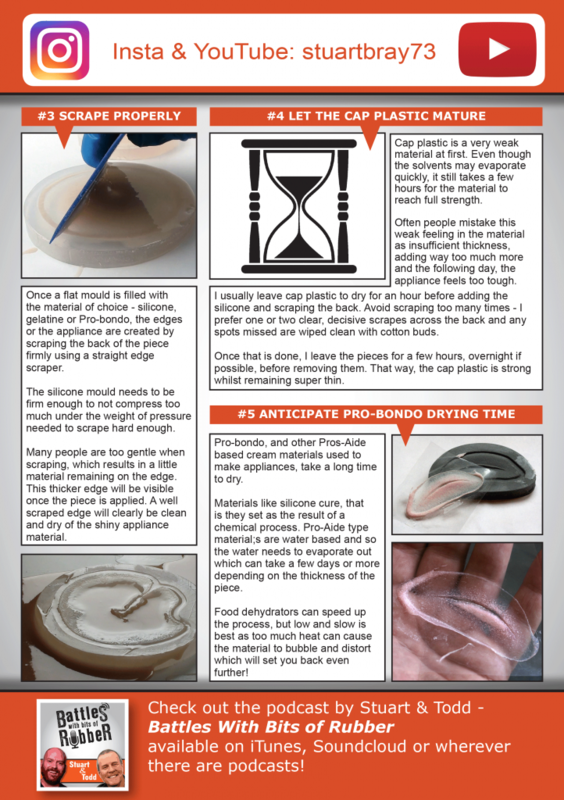 With their carefully balanced silicone formulas the products have incredible flexibility and durability. Airbase is used backstage at stage shows, fashion shows and TV productions regularly - have you tried it yet? Mona Turnbull’s view of life is through the prism of her artist’s eye. With a varied background including a BA in Business & Advertising Management, she has always been drawn back to the world of colour. 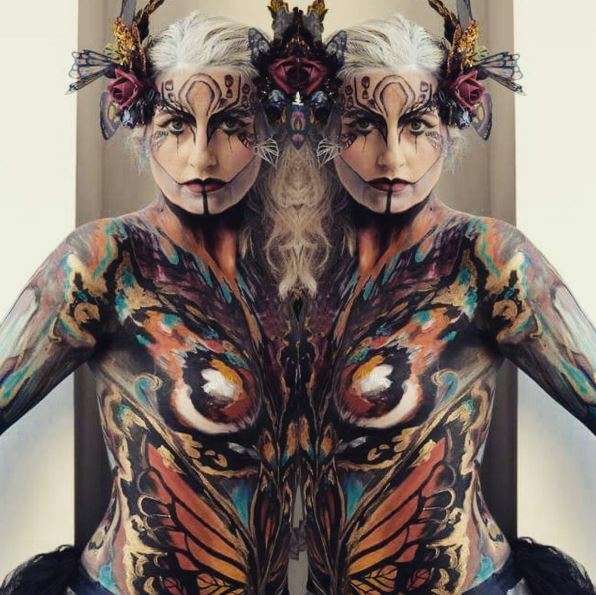 Now running a face and body painting, creative make-up and art business, she has undertaken art study with some of the best in the industry. We are huge fans of Nanshy's synthetic brush range. Not only are they extremely affordable, varied in style and cruelty-free, their brush shapes have been extremely well thought out and result in excellent application. Their carefully curated brush sets are great value and have put together the perfect tools for your ideal look. Oscar-nominated and Ridley Scott's right-hand woman, Tina knows a thing or two about brushes. Frustrated by the lack of quality brushes coming out of Europe, she developed her own range of luxurious, hand-sculpted tools to achieve the perfect look. Be sure to check out the beautiful silk brush rolls which go alongside them. MUD's huge product range have come straight from the minds of the tutors and artists who have worked with the brand. Trusting their knowledge as one of the best make-up schools in the world, their cosmetics range are of top professional quality, well conceived and always deliver as promised. Take advantage of their discounts to stock up on reliable essentials. PAM is a must-visit for all artists, thanks to their wide variety of brands on offer in one place. Louise Young will be on hand to demonstrate her eponymous range, while the talented team educate, advise and demo their extensive range. 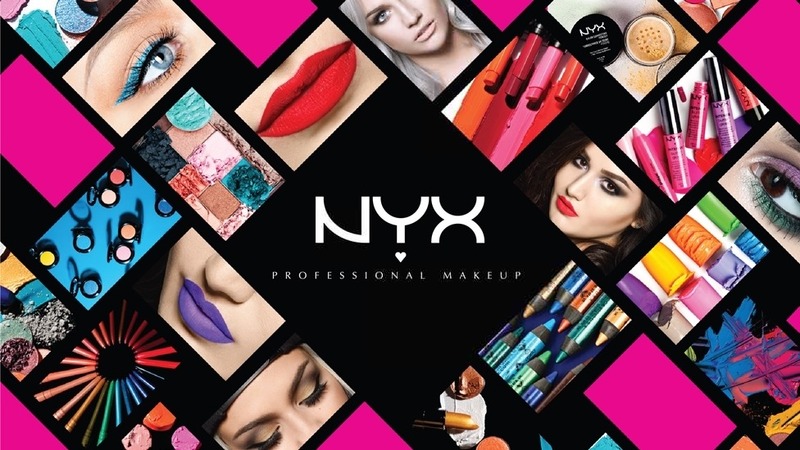 We're so thrilled to welcome colourful trend-blazer NYX Cosmetics, who have taken the country by storm in such a short space of time. Unafraid to try unusual colours and textures, the potential of their products is limited only by your imagination. Already very affordable, you can expect some tempting offers to sweeten the deal even more. The hottest new professional retailer are making their show debut this year, stocking everything you might need for a full day on set. More than just a store, the Armoury aims to build a community to help empower make-up artists with knowledge, support and creative inspiration with the help of their experienced artist staff. Designed for make-up artists and enthusiasts, Base Pro's handmade Japanese premium brushes provide everything you need to achieve flawless results. They are handmade from the very best natural and synthetic fibres and rigorously tested by experts producing the latest fashion make-up looks for catwalk, screen and print. 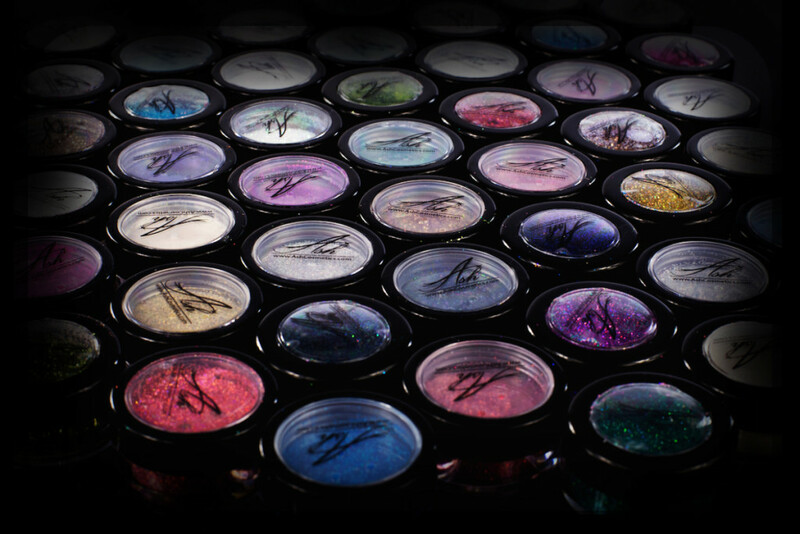 We are so pleased to welcome Make Up For Ever to the show for the first time. Their products have a home in so many artists' kits that we know the team will be very busy this weekend - especially once news gets out of their huge 40% discount, exclusively for UMAexpo customers. From their coveted foundations to their rainbow of colour cosmetics, there's always something to catch your eye. Born out of necessity (and frustration) these bags and carriers have been designed by fellow artists Cheryl Hill and Tanya Noor. Their experiences over the years inspired them to create practical, robust and lightweight designs which are perfectly adapted to the needs of modern make-up artists. 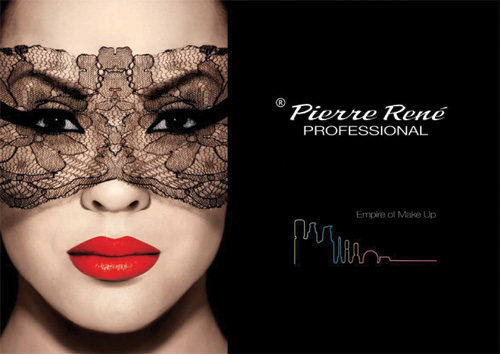 With a 30 year history as one of the original cruelty-free brands, Pierre René set out to innovate the delivery of their cosmetics, including make-up which is silicone-free, paraben-free, nourishing and suitable for sensitive skin and eyes, without compromising on quality or pigment. The original magazine for make-up artists in the UK, this online industry bible features the hottest news and biggest scoops. Expect interviews with top artists across the make-up industries, product stories and comment pieces from a passionate and experienced team. This entry was posted in UMAe News on April 27, 2017 by Deborah Murtha. If you’re looking to stock up on the best products for creepy creatures, goresome wounds and premature ageing then you’re in luck – some of the best brands and vendors in the business will be attending UMAexpo this weekend to cater for your needs. The ever excellent Stuart Bray will be here, ready to answer your technical queries, quibbles and questions. He’ll be demonstrating applications of prosthetic pieces, but treat this as a chance to bring along a pad and pen to get to the bottom of those niggling FX issues. The new kids on the block who are carving a real reputation for themselves, Exilian FX are headed up by artist Theodore Salisbury, providing quality character design and creation for the Film and TV industry. The excellent Brian Kinney's Full Slap FX will be bringing along the best-selling Hurt Box series of prosthetic FX molds and more. Kinney's credits include Game of Thrones, Westworld, Sons of Anarchy, and The Purge series. Titanic FX Store is Ireland's home-grown SFX and prosthetic make-up outlet, providing the very best of SFX materials and tools locally throughout Northern Ireland, the Republic of Ireland and beyond. You can expect their famous Titanic Prosthetic Gelatin, Pro-FX Brush Range and brand new range of flocking, perfect for colouring prosthetics, to be in stock. With a combined experience of over 60 years, the team at PS Composites know exactly what you’ll need to make the perfect prosthetic appliances. 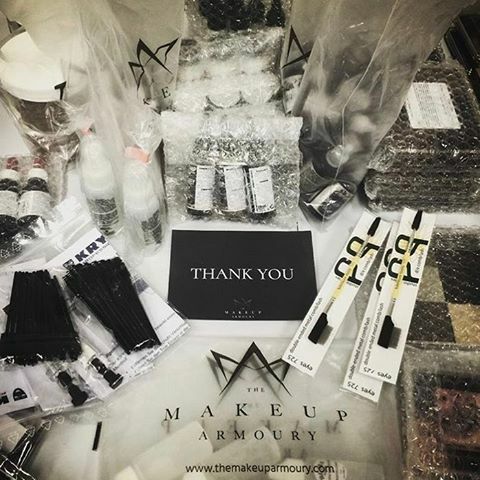 From raw ingredients to a carefully curated shop of brands, there’s nothing these experts – headed up by the infinitely talented Kristyan Mallett – don’t know about FX make-up. PAM is a must-visit for all artists, thanks to their wide variety of brands on offer in one place. Visit on Saturday to find Kate Benton and Shauna Harrison transforming comedian Jon Culshaw into Donald Trump, while Lucy Sibbick demonstrates a casualty FX design. With over 20 years of experience in providing for almost every element of a performance – from lighting and sound to make-up – the Back Stage Shop stocks time-tested favourites from some of the biggest brands going. From pancake foundations to fake slime, you’ll find it here. 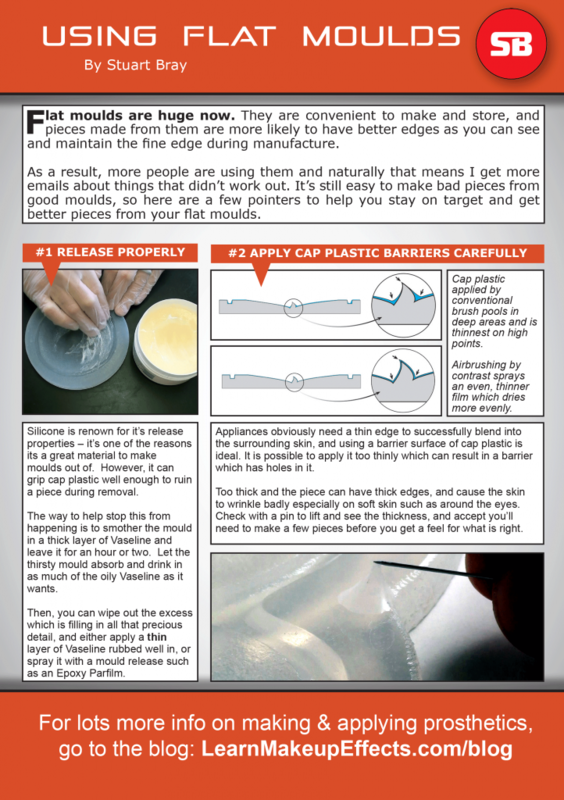 Needing no introduction, PPI is the home of many of your favourite adhesives, palettes and paints for FX work. With a roster of international artists demoing over the weekend, expect a friendly and knowledgeable environment to learn from and observe. With over 15 years of experience in the industry as a freelance artist in ​make-up design and application out on location, in the studio and in theatre, Kate’s extensive make-up kit will be put to good work as she demonstrates her skills. Delivering workshops across UK since 2003, Kate will be happy to answer any questions you might have. The National Theatre in London is one of the UK's three most prominent, publicly-funded performing arts venues. As such, they know a fair amount about creating SFX make-up looks for theatre. Stop by for advice and information from the talented team behind the NT, live streams and touring performances. Buying off-brand contact lenses can be a risky business, especially when someone like Cantor+Nissel does it so well anyway. From custom, hand-painted lenses to pr-designed options with a rainbow of effects, their products are used in over 60 countries worldwide. This entry was posted in UMAe News and tagged SFX, FX, FX Makeup, Prosthetics on April 26, 2017 by Deborah Murtha. 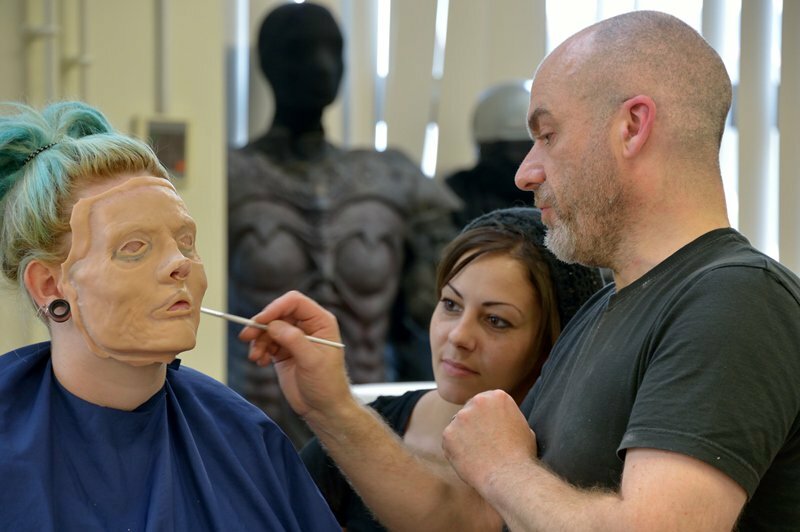 We're lucky enough to bring you a snippet from Stuart Bray's excellent prosthetics course. As a seasoned educator and talented artist, working on Game of Thrones, Hex, Stardust, Shaun of the Dead and many more. Come and visit Stuart at his stand (A1) this weekend! This entry was posted in UMAe News and tagged FX Makeup, Stuart Bray, Prosthetics on April 26, 2017 by Deborah Murtha. Creative Media Skills are bringing the talented hair stylist, Andrea Cracknell, to lead this intensive three day masterclass. This entry was posted in Exhibitor offers and tagged Creative Media Skills, masterclass, ANDREA CRACKNELL, wigs on January 11, 2017 by Chris McGowan. All year round discounts with selected exhibitors. The UMAe Management team have been busy thinking about ways to promote interaction with our visitors and exhibitors and offer a year round experience in addition to our annual event. We are excited and pleased to announce the introduction of the UMAe Loyalty Card. Benefits of the membership . Year round special discounts with our participating exhibitors . Significantly reduced entrance fee to UMAe - a 2 day ticket for £10.00 (only 1 ticket per member per year) . Fast track entrance to UMA expo . Invitation to industry events . Regular communications . Product updates and announcements . Advance product launch information. This entry was posted in UMAe News and tagged Discount, Loyalty, Loyalty Card on January 11, 2017 by Simone McGowan. This entry was posted in UMAe News on December 16, 2016 by Chris McGowan. Airbase 10% Off Absolutely Everything ! This entry was posted in Exhibitor offers and tagged Airbase on December 16, 2016 by Chris McGowan. 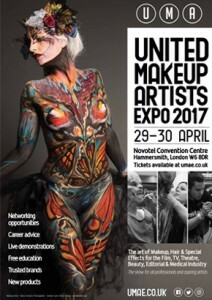 United Makeup Artists’ expo (UMAe) April 29th & 30th for makeup artists and hair/wig dressers is entering its 5th year. 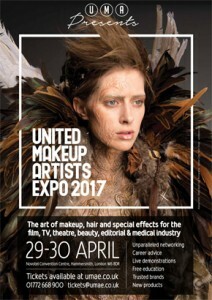 UMAe teams up with the industry leaders of Film, TV & Theatre to deliver a Make-up Artists’ expo with a different ethos rather than being purely product driven. Our ethos is to do our very best for, and listen to, our exhibitors and visitors and to support professional and aspiring makeup artists & industry hair/wig dressers/barbers. We maintain a strong focus on the availability of Education to all attendees at no extra charge. We give them the opportunity to meet and interact with the best in the business and to learn, from the experts, the latest techniques and products available to pursue a career in the Film, TV, Theatre and Medical industries. Award winning Guest Speakers, High profile Industry attendees, Professional advice from Exhibitors, Master Classes, Industry Seminars/Tutorials, Interactive Workshops, Individual Portfolio advice from our Guest Speakers & Experienced Exhibitors, Amazing Demonstrations, both on the Show Floor and during the Tutorial, Career path advice. This entry was posted in UMAe News and tagged UMAe2017, UMAe Tickets on December 14, 2016 by Simone McGowan.